For many people, the office sludge suffices for the morning cuppa. For others, the drive-through cafe is their source of choice for that jolly jo. Writers and students, take up space daily in the most popular of national coffee service chains, in legions it would seem, to partake of their preferred caffeinated beverage. For the coffee cognoscente, such as myself, nothing but the best will do. Well, maybe I’m not on the aficionado end of connoisseur, but I know I can’t hack the office ichor. I want my coffee fresh – very fresh. Just what is fresh coffee, anyway? According to, the blog, The Daily Grind, it’s not what you think. Find out what constitutes fresh coffee and what doesn’t in the post, What is Fresh Coffee? Since freezing my coffee beans is a practice I should discontinue, I am relieved to know that at least one coffee practice I have has the thumbs-up. I grind my beans before making coffee. No purchased ground stuff for me. 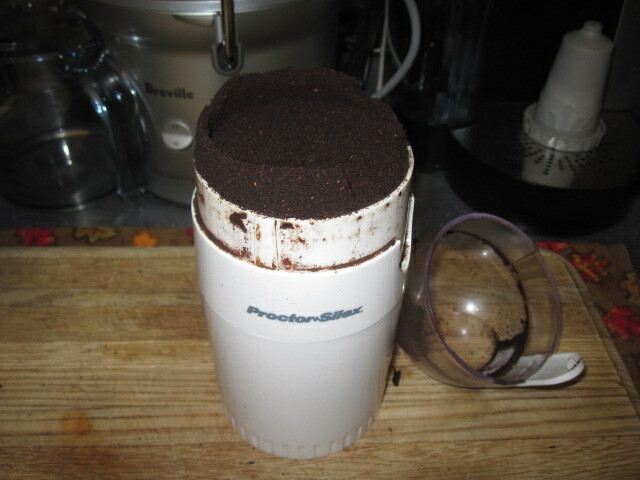 My tool of choice is the Proctor Silex Coffee Grinder. I can even get a fine Turkish grind with a little persistence. Skipping the rancid coffee scene is one reason to grind your coffee just before brewing. Five Senses Coffee fills in the learning gap for coffee lovers as to why one should grind one’s coffee just before use in,Why Grind on Demand. For many of my coffee cohorts who hide the fact that they grind their own coffee for fear of being labeled a snob or even worse, an elitist, you can come out of the caffeinated closet now. You can spread the word amongst the cretins among us who refuse to comprehend. 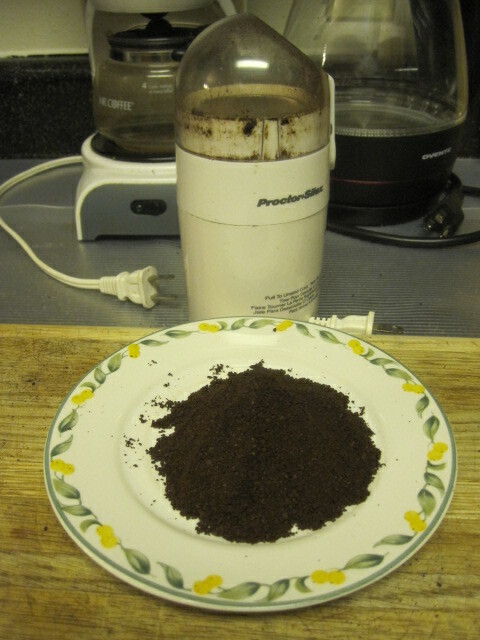 Grinding one’s coffee before brewing is not unlike washing one’s hands after a visit to the loo. Or, donning one’s mukluks before going out into the blizzardy beyond. It’s just what must be done according to the rules of politesse and decorum. One awesome source of coffee is, Java City. Your source for coffee beans is about as important as how you treat them. There’s also coffee culture to consider and the regions where coffee supremacy reigns over tea consumption. I venture to discuss coffee culture to some degree in my article on Hubpages, Fresh Ground Coffee in the Morning ~ Every Morning.